The decision to euthanize your pet is often difficult and overwhelming. 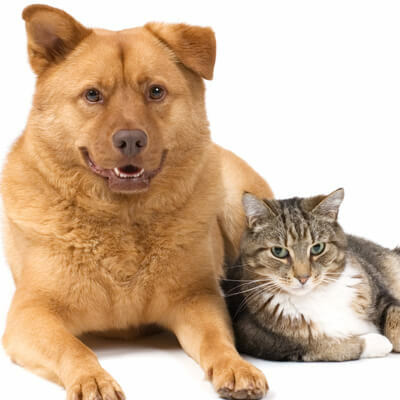 Talk to your veterinarian about your pet's health, treatment options, and prognosis. You will want to consider your pet's quality of life as well as your family's, the pet's level of discomfort, and his/her ability to do the things that were once enjoyed. Feelings of guilt are common, but it is important to remember that, as caregiver, the decision to euthanize is often the kindest and most unselfish decision you can make for your sick or injured pet. If your pet is sick or suffering, the doctor will briefly consult with you to discuss the need for euthanasia. We will help you make the appropriate decision for your pet. The euthanasia itself is a quick procedure and involves an injection into the vein. Occasionally, animals may have a reflexive breath, vocalize, or eliminate after the injection has been given. There is no need for alarm that the animal is reacting abnormally to the injection. Euthanasia is typically a very quick, painless, and peaceful process. IV Catheter- allows for easier access to the vein during the procedure, especially for animals with poor blood pressure. This option also allows for a more private setting because only the doctor needs to be present. Present at the Time of Euthanasia- some people prefer not to be present for the passing of their pet and this is entirely acceptable. Know that your veterinarian and the staff will treat your pet with kindness and respect. It is important to give yourself permission to grieve the loss of your pet. Grief is a process that is experienced differently by each person and at an individual pace. If you find yourself "stuck" in any one phase, it may be helpful to seek counseling or the support of others who have experienced the loss of a pet. 1. Making a donation in memory of your pet to an animal-related organization listed at the bottom of this page. 2. Carrying out a ritual such as lighting a candle for your pet or having a memorial service with family and friends. 3. Making a scrapbook of your pet's life. It is important to be honest with children and explain the permanency of the pet's death in simple, straightforward terms. It is not advisable to tell a child that the pet has been "put to sleep" as the child may become afraid to go to sleep him or herself. Encourage the child to talk about the pet and give the child lots of reassurance. Children work through grief by "doing"; drawing pictures or writing a story about their pets may help them adjust to the loss. Surviving pets may exhibit anxiety, restlessness, and depression. They may search for their lost companions and crave more attention from their owner(s). However, giving the surviving pets too much attention may lead to separation anxiety. Try to keep the surviving pet's eating, sleeping, and exercise routine as normal as possible to give the pet a sense of stability. It is not advisable to get a new pet as a companion for your surviving pet unless you are emotionally ready yourself. Animal Organizations - consider making a donation in a pet's name to help other pets in need. -AAHA Helping Pets Fund - provides veterinary care for pets in need. -Oregon Animal Health Foundation - promotes the health and welfare of animals by funding a variety of charitable, educational, and scientific programs. -Dove Lewis Emergency Animal Hospital: call for brochure with schedule (503) 228-7281, 24-hour support message line (503) 234-2061.